Program robotics for manufacturing and industrial systems. Programming for Fanuc, Motoman/Yaskawa, Panasonic, and ABB robots. Skilled Fanuc Master Certified engineer. Where integrity is a promise. 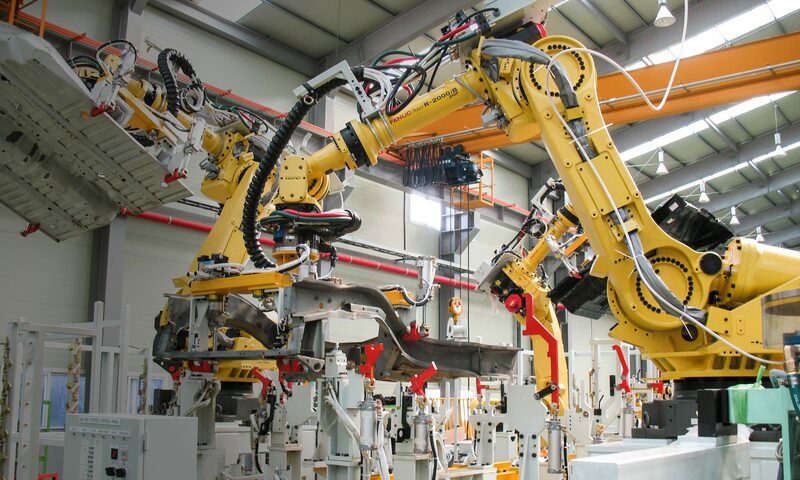 Standard Robotics Automation promises to offer robotic programming with integrity to all of their clients. All projects will be completed accurately and at competitive prices. Standard Robotics Automation was founded in 2016 in Grand Haven, Michigan by Neil Gray. Neil has over 11 years experience in the field. Standard Robotics Automation specializes in robotics for Arc welding, mig welding, resistance welding (spot), friction stir welding, laser cutting, material handling, fluid dispensing, multiple arm robots, and robots on rails. Read more here. Are you ready to collaborate on your next automation project? To provide expert, reliable, safe robotic programming services to West Michigan. To provide design, building, integration, support and training services to their customers. To meet and exceed their customer standards. Service is offered to all of West Michigan, including Holland, Grand Haven, Grand Rapids, and Muskegon. Travel outside of Michigan is also availabe, please the Rate Sheet form for travel out of state.